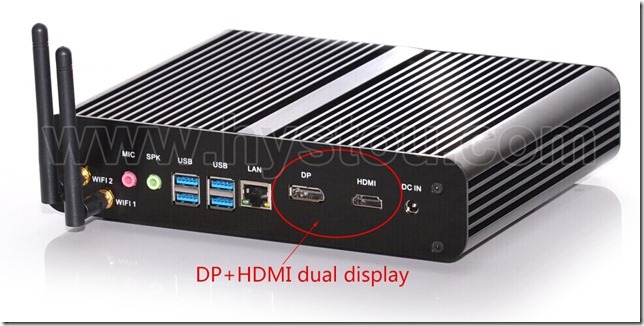 Why my FMP05-i74500U mini pc has no display when using DP to DVI adapter? 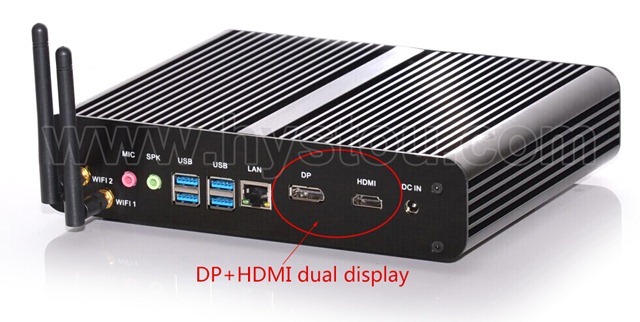 Many users need to use DP and HDMI dual display mean time, but when collect to 2 monitors there is nothing displayed, don’t worry, this is not product problem, pls change to use active DP to DVI adapter to connect the core i7-4500u computer to monitor DVI port, then everthing solved. Active DP to DVI mostly work for Dual Link DVI output, because Dual Link transfer much bigger data, and so it require much higher power supply.